It’s been a busy January, and this weekend I was over the moon to close several placements of new nannies with families. A couple of these had been on my books for several months, and it had proved tricky to find a perfect match… either the hours didn’t quite fit, or the families weren’t quite the right fit for each other. However, we persevered, and finally after a good couple of months (more in some cases), we were able to find a match in which both the families and nannies were really happy with. This is a fantastic feeling for me, and as a new agency, it gives me great confidence that (as with so many things in life!) whatever you are looking for, the perfect match is out there if you look hard enough. Be patient. If you are a family, you really need to give yourselves a good 2-3 months to find a nanny. This might mean interviewing a few different candidates until the chemistry is right between both adults and children. But if you don’t prepare well in advance, and give yourselves this time, then you may end up having to take a nanny which really isn’t the right person – and that is not beneficial to anyone. Know what you want. Whether you are a family or a nanny, have a really good idea of what you are after. Always be upfront about what’s high priority or low priority, what you are good at and not so good at etc. This means that you won’t waste time interviewing/going to interviews which just aren’t going to be right for you. But that said… the final important thing is…. Compromise. 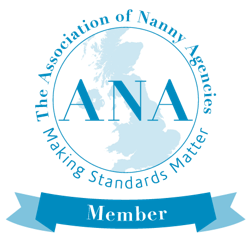 Sometimes, both families and nannies need to be prepared to give way on what they are looking for. Whether this is finding some flexibility in hours, the duties you’ll ask of your nanny (or as a nanny, the duties you will be prepared to do) or meeting in the middle over pay, as with any relationship, it is often the case that both parties are willing to compromise a bit. As long as it’s not too fundamental, we need to accept that not everything is perfect, but if we can achieve 90% of perfect, then we are doing pretty well! Happy matching from Happy Families!